Richard Travers Roberts was born in 1956 and educated in north Buckinghamshire. He spent some of his formative years in Zambia and South Africa, before attending a foundation course in art and design at High Wycombe and later a BA Hons. degree in sculpture at the Norwich School of Art. His interest in wildlife was nurtured during the four years spent in Africa. 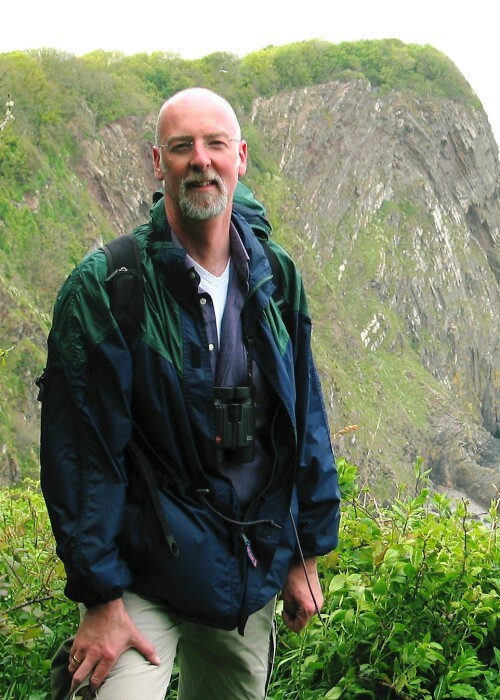 His passion for bird life continues to the present day and he does voluntary surveys for the British Trust for Ornithology. He has spent most of his working life as a freelance designer and modeller but has also developed a range of his own work in bronze. He initially moved to East Anglia to be nearer the rich birdlife of the east coast, but latterly spent 14 years in Worcestershire where he came to know the Severn Valley and the Wyre Forest, with its diverse wildlife. Although he now lives within a mile of the town centre of Walsall in the West Midlands, his studio overlooks the Walsall Arboretum. He has spotted over 65 species of bird in the garden alone as well as stoats, weasels and foxes. Farmland is only a quarter of a mile away and in the spring, buzzards regularly patrol their territory only yards above the garden. Kingfishers are often spotted on the stream in the park itself. He has now started to sculpt some figurative pieces too which will be introduced to the range from time to time. His work is exhibited at the Sheridan Russell Gallery, London and at the Affordable Art Fairs at Battersea and Bristol as well as the Birmingham Art Fair. He has also regularly exhibited at the Society of Wildlife Artists at the Mall Galleries London. In 2004 he became a member of the Gloucester Guild of Craftsmen and exhibited with them at Great Barrington, Painswick and Waddesdon Manor. He has taken part in a nationwide touring exhibition organised by Turner Fine Arts in 2004 and again in 2005.